Compared to other Southeast Asian countries, Philippines seems to be quite ahead in terms of IoT adoption and digital transformation, especially in the industrial and logistics sectors. Throughout our panel discussions among leaders in telecommunications, industrial & manufacturing, transport & logistics, issues not dissimilar to discussions in other countries arise: manpower, education, connectivity, yet the industry leaders seem to be optimistic about The Philippines’ potentials in digital transformation. Is that the case? “You need to have bold vision and having a vision on how things are going. When we speak IoT, there's always a reason i.e technology is not there, i.e but there's no optimum point for IoT. We need to be bold in pushing things forward, move away from discussions to pushing things out. start small and with something practical - if the current process doesn't work, find a change, not work around it.” - keynote panellist Gio Abaquin, Category Head, M2M & IoT, SMART Communications. Another highlight that was mentioned by not only the Keynote panellist, but also industry experts from Germany and Spain in the Industry Trends & Outlook panel, is that leading stakeholders - CIOs, Directors of IT - need to consider taking risks to invest in small but important steps of digital transformation. Local leaders from Maynilad, MERALCO, Calata Group and LBC Express who have done so see the benefits that digital transformation can bring to their operations, and urge other industry players to do the same. Dr Francisco Castillo, CIO of Maynilad Water Services, commented that while issues like lack of well-established infrastructure and standards, unreliable connectivity and cybersecurity still hamper the growth of digital initiatives in the country, by taking risks and taking small steps in investing in technologies like smart metering, the company still manages to see end results that are not only encouraging, but also indicative of the immense potentials that the digital can bring to its operation, services, and most importantly - bettering people’s quality of lives. 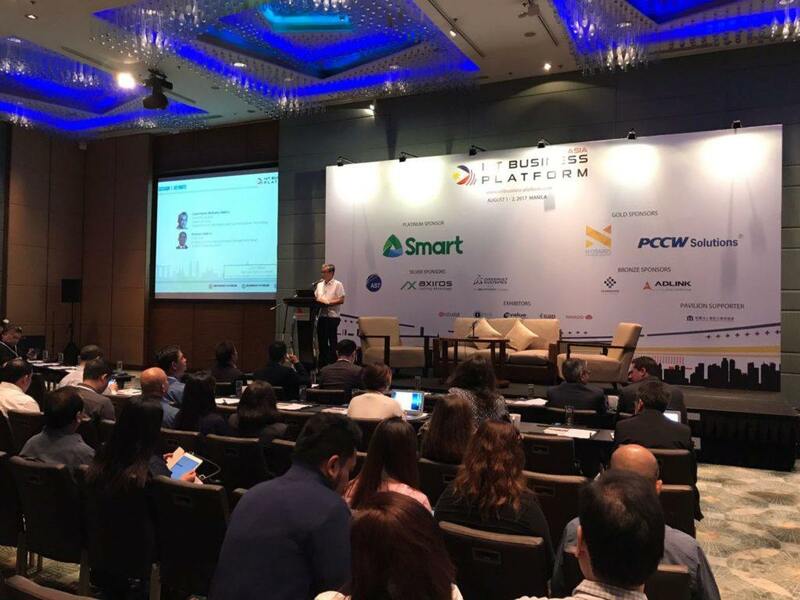 Overall, the exciting and engaging discussions of Day 1 of Asia IoT Business Platform, Manila, The Philippines have shown great potentials, optimism and enthusiasm regarding IoT and digital transformation. We hope the leadership shown by the speakers and panellists continue in the companies and organisations, wherein leadership, education and collaboration are the key drivers to embrace digitalisation in the country. If you would like to access the full 2-day report of the event, leave your contact details in the comments or at zaidani@industry-platform.com.